Once a picture or video is posted, it is automatically deleted after it has been viewed by the receiver. This particular feature has made the app a sensation among smartphone users. Each year, distracted driving results in thousands of accidents, leaving many people injured and many dead. Distracted driving caused by the use of cell phones is one of the biggest causes of car accidents and related fatalities. The use of social media applications while driving is proving to be as dangerous as texting or speaking on the phone while driving. Snapchat is a popular app that people are using while driving and this has increased the risk of accidents. Snapchat is a social media app that is used to take a picture or a short video and share it with friends. Once a picture or video is posted, it is automatically deleted after it has been viewed by the receiver. This particular feature has made the app a sensation among smartphone users. However, reading a message within the 10-second deadline creates urgency. Combine this urgency with driving and you have a recipe for disaster. The app is soon to reach the 200 million users mark. A majority of Snapchat users are aged 14 to 21, which is also the age group that has the maximum number of first time or inexperienced drivers. Any distraction for a new driver can lead to catastrophic accidents. What is a Speed Filter? Manual distraction – Snapchatting requires a driver to take at least one hand off the steering wheel. Visual distraction – Drivers take their eyes off the road to see a video or a photo. 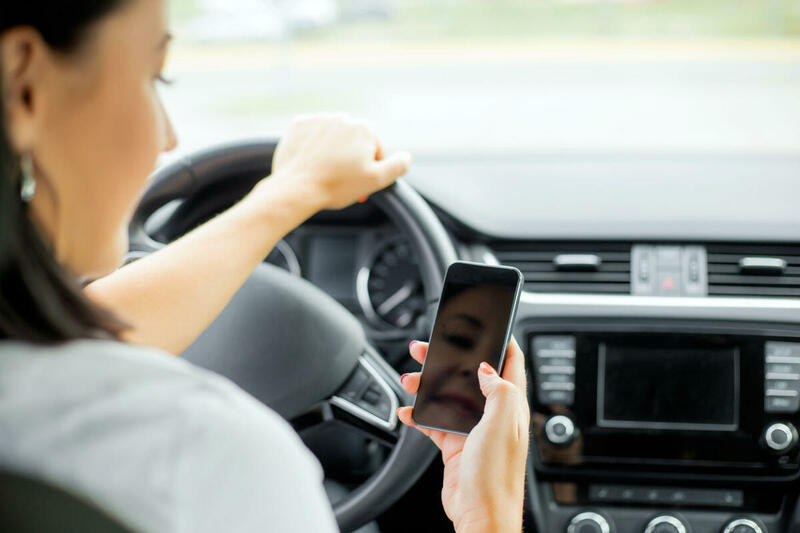 Cognitive distraction – Snapchatting distracts a driver from paying attention to the road and affects the driver’s ability to make quick decisions. One example of a serious accident caused by Snapchatting was the 2016 case of a teenager who collided with another vehicle while traveling 100 MPH to post it on Snapchat. The teen posted a photograph with a caption, “lucky to be alive”, moments after the crash. The crash victim incurred serious brain injuries necessitating extensive treatment. Victims of distracted driving accidents should consult a St. Louis car wreck attorney. Call The Hoffmann Law Firm, L.L.C. at (314) 361-4242 to protect your legal rights and recover rightful compensation.